This spectacular photo in an ad in Lufthansa Magazin captures a wonderful feel for summer. Todd and I were on our way to Italy. 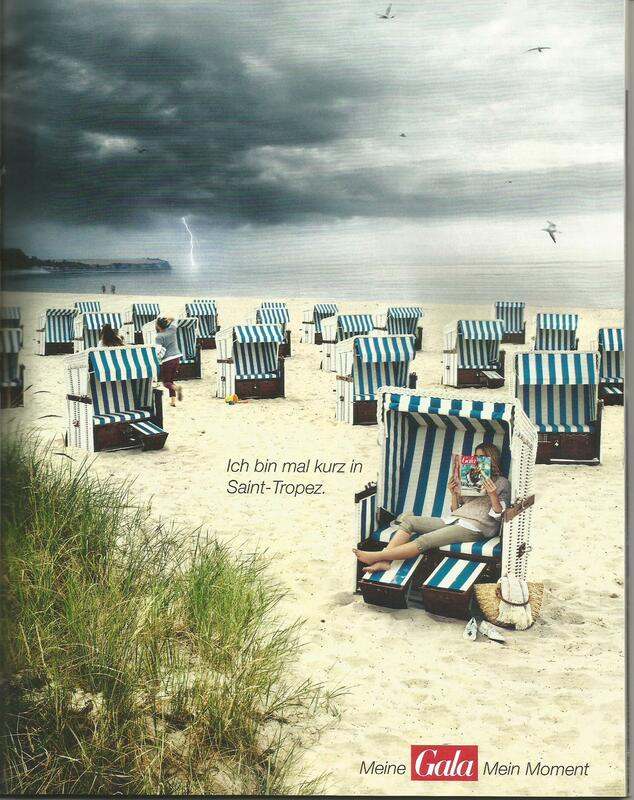 This entry was posted in Ads and tagged Gala magazine, Lufthansa Airline, Saint-Tropez. Bookmark the permalink.